The introspection anthem PRIDE. has coldest lines for people who try to understand the meaning behind lyrics. 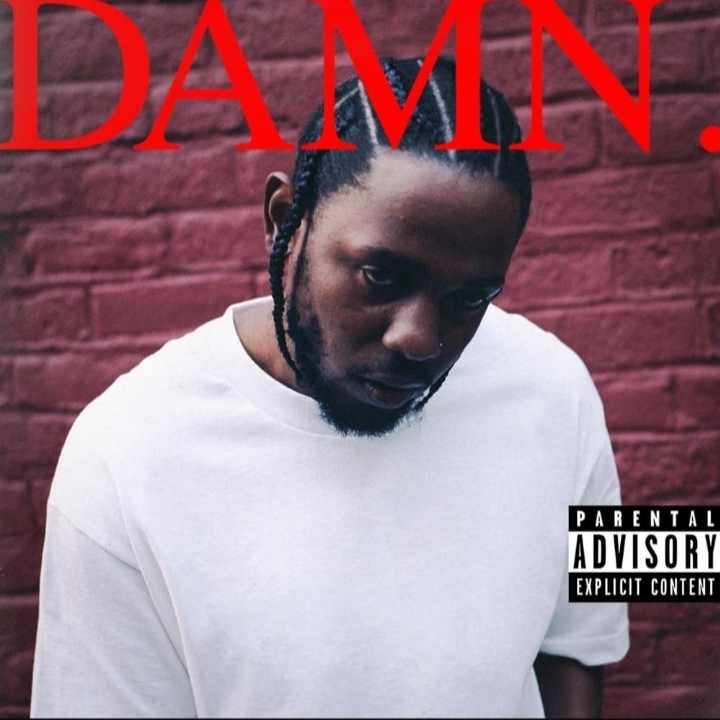 is my favorite track from Kendrick Lamar’s full length studio album “DAMN.”. It is the most well-written song in the whole ‘DAMN.’ album. In this track, Kendrick Lamar touches points like love, trust and self-respect. Kendrick talks about the things he loves the most in his life and the things he wouldn’t want at all in his life. Read the article below to learn more about the meaning behind lyrics of PRIDE. by Kendrick Lamar. In this intro, Kendrick Lamar shows us differences between “killed” and “death”. Lamar explains how “Love” and “Pride” seem to be related to each other in many ways but there are many differences between them which we often forget to acknowledge. Love will throw you up in the pile of dirt creating a very intensive and unhealthy obsession over someone. It will put you through hard times. You will not be able to think clearly when you’re in love and you often choose the wrong method to deal to get out of a pile of negative emotions overwriting positive emotions. However, pride is something that will rot your soul and destroy you emotionally, eventually leading to ruin others life as well. These lines are explaining the alter ego of Kendrick. He says he was taught to care himself and other people. However, just for the sake of caring, he wouldn’t share what he has whether it be his wealth, relationship advice and life history. Lamar in his calm mental state creates his version of “perfect world” being aware of the fact that it is only his vision for a possible perfect world that doesn’t exist in reality. His distaste for sharing what he has must have come to him as a result of his hard childhood and countless nights of sleep with an empty stomach. The first line of the first verse of this song is very poetic. He has a few questions for the edgy fashionista who are constantly showing off their “worldly possessions” such as fast cars, big mansions, expensive jewelry, etc. He asks them one simple question, i.e. for the sake of living standard quality of life, is it worth it to live with less spiritual wealth by disowning your soul slowly that you have owned since your birth while owning other immeasurable material wealth? The meaning behind lyrics of PRIDE. track takes a huge turn here. Besides, he has a better question for the fashionista. He asks them if they would care and nurture a human heart or would they dissect and leave it with countless wounds that can never heal. On top of this, he gives them a choice to choose between happiness and flashiness. In the version of a perfect world created by Lamar, he keeps his persona as a perfect human being in a perfect world where he wouldn’t trust anybody from the spiritual level. In his version of a perfect world, his pride won’t let him love people enough to put his faith in them. He will only be faithful to his vaguely poetic lyrics with a hope that he would make a band in a perfect world. Lamar says he understands that his pride probably won’t let him be the perfect man that he desires to be in a perfect world created by himself. He confesses that he might not be able to keep his words of being perfect in spite of having an immense desire to be a perfect human being in the perfect world. Kendrick says that him saying he might not keep his words probably will put people that look for him down. His pride didn’t let him apologize for all of the wrong deeds of his before and he says he is still the same at the present as well. The singer says he might seem interested in a person for a while. Then, he might go totally numb to the point where he would stop responding and totally cut ties with that person. Kendrick Lamar would rather give up a leg and an arm than to show empathy to other people from pity parties and other social gatherings. In his version of a perfect world, he wouldn’t let such people live for more than 24 hours. It’s because he cannot fake being humble in his perfect world just because he is close to them. There is no place for insecure people who use him up just for attention in his world. Lamar says he would reject entry of insecure and emotionally unstable people because maybe Kendrick mightn’t be Kendrick in his version of the perfect world. This might mean that he would probably let such people enter into his world if he were him. However, he tells people not to predict his character in his world because he is not sure which persona of him is he going to use up in his version of a perfect world. The singer thinks he is too reckless and insensitive in the real world. However, in his version of a perfect world, he would try to change his personality and hopefully become a mature person. He says he is a cold person who doesn’t keep his wounds untreated. He can be very harsh to people but if they come back to him with genuine sorrows, his pride wouldn’t stop him from letting those people enter his world. Lamar thinks maybe his pride exists in him as something kept in him just show other people that he is cold. He can be very welcoming but he likes people treating him as a cold-hearted person. Lamar smiles and gives cold stares to other people. This is what drops the temperature between him and another person which leads the other person to believe that he is very cold-hearted. Kendrick feels like there is a fine line of distinction acting as a wall as a barrier between two races. He believes that the wall can listen to his words. However, the racial wall cannot respond back to his words because its sole intention is to segregate two groups of people. The wall seems to be very biased because of which the singer feels hurt. He feels hurt so badly that he has almost lost his love in humanity. The singer says pride of people can make them dangerous and poisonous. The concept of a perfect world is confined within the imagination of an individual. In most of the cases, the perfect world is filled up with lies and propaganda to gain sympathy and trust of people. After getting what people want, they break all the promises bordering the hearts full of lies. This leads to the increment in distaste between cultures of two races. Kung fu Kenny has plans for his version of a perfect world. He says he will choose faith over riches and he will choose work over women. He will make more schools instead of prisons. Lamar will take all the religions together to serve a single purpose, i.e. humanity. He is willing to do all the good deeds just to make his pride grow over other people saying Kendrick is perfect.